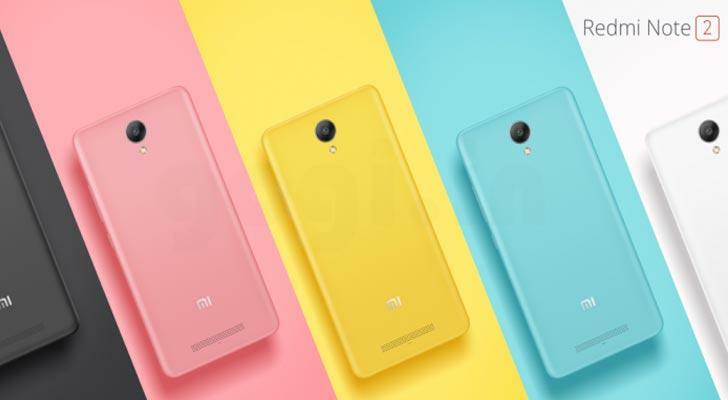 Xiaomi launched few more devices in China – the Redmi Note 2, Redmi Note 2 prime and a Nano Wi-Fi router called the Mi Wi-Fi Nano. The Redmi Note 2 is priced at RMB 799 / RMB 899; Redmi Note 2 prime is priced at RMB 999 and the Wi-Fi Nano is priced at RMB 79. The dual SIM Redmi Note 2 houses the MediaTek Helio X10 64bit octa core processor clocked at 2GHz with PowerVR G6200 GPU and running MIUI 7 based on android lollipop 5.0. This handset sports a 5.5 inch screen with 1920 x 1080 pixels resolution. There is 2GB RAM and optional 16/32GB storage. External SD card slot is missing. A 13MP AF camera f/2.2 (Samsung – ultra fast focus within 0.1sec with phase detection Autofocus) is packed on the rear with LED flash and a 5MP camera on the front. Key features are 4G, 3G, 2G, Wi-Fi, GPS and Bluetooth. 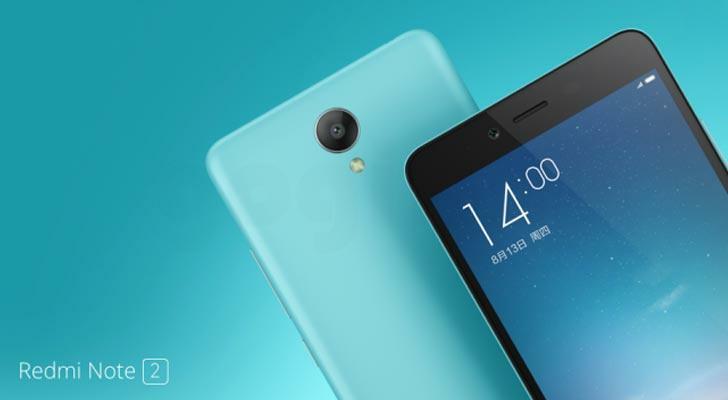 The Redmi Note 2 weight with a 3060 mAh battery is 160 grams and thickness is 8.25mm. 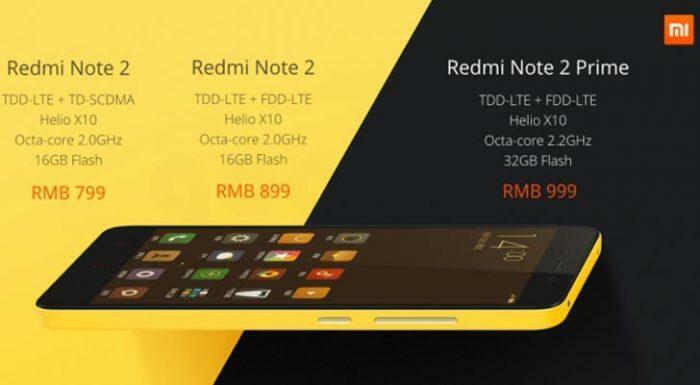 Redmi Note 2 will be available in 2 variants for RMB 799 (₹8,000) and RMB 899 (₹9,000). The Redmi Note 2 Prime is also using the Helio X10 octa core chipset clocked at 2.2GHz. 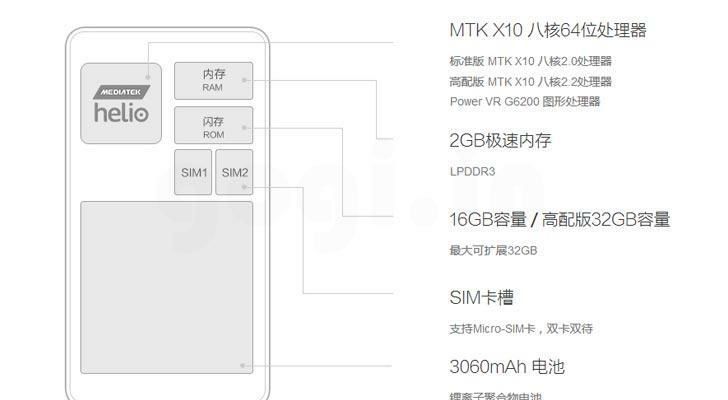 It is also running MIUI 7 with 2GB RAM and 32GB storage. The screen is 5.5 inches with 1920 x 1080 pixels resolution. I guess it will also come with 13MP rear camera and 5MP front camera. The Redmi Note 2 Prime is priced at RMB 999 (₹10,100). 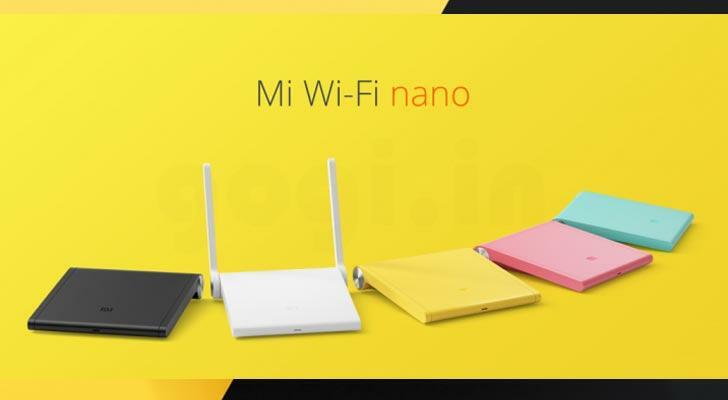 Mi Wi-Fi Nano is a small but smart router that fits in your palm. It occupies less space but provides strong signal coverage. There is micro USB port that can be used to connect with Mi- Bank making it a portable device. Wi-Fi Nano houses the MTK 7628N processor and comes with 2 dedicated PCB antennas with 300M Wi-Fi Speed, 64MB flash and 16MB ROM. The Mi Wi-Fi Nano is priced at RMB 79 (₹ 799).